Just Listed :: Updated Ranch in Lavista Park! Welcome Home! This brick ranch nestled in Lavista Park is just what you’ve been looking for! The flowing floor plan, custom features, and charming character will never go out of style. The close proximity to I-85, I-75, and GA400 makes it convenient to and from any direction. 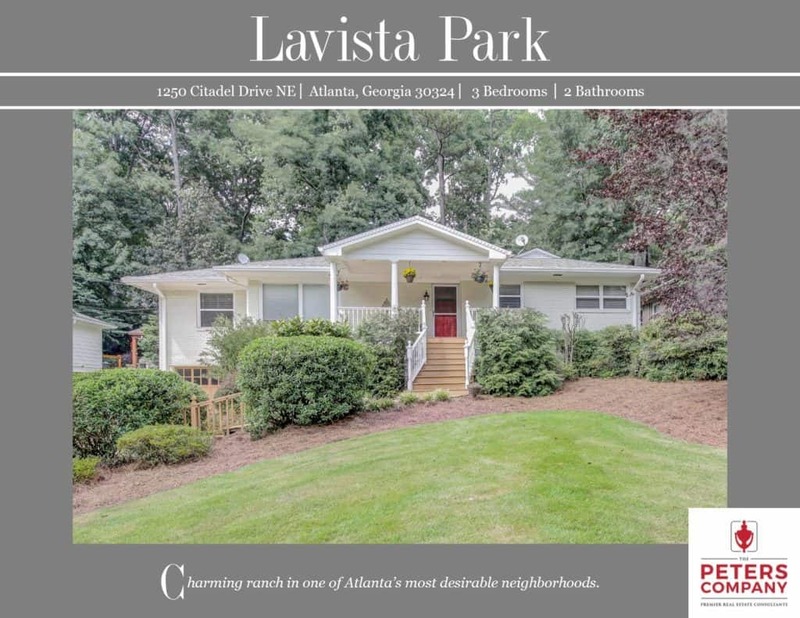 Being in this booming area of unincorporated Dekalb County also means you get to live as close to the city as you can without the escalating tax bills associated with Fulton County and the City of Atlanta. You’ll enjoy being only minutes from many popular restaurants and shopping spots too! Kitchen features stone countertops and backsplash, ample cabinet space, pantry, and breakfast area. The main living space is a nice combination of living and dining rooms which are perfect for entertaining. Natural light pours into the spacious family room/sunroom that has a vaulted ceiling with wood detail. Hardwood floors and crown molding are carried throughout most of the home. Master suite is a true retreat including a trey ceiling, walk-in closet, and access to the back deck. Spa-like master bathroom boasts an oversized soaking tub, separate walk-in shower, and heated floors. Huge deck is ideal for outdoor enjoyment and entertaining. It leads out to a fully fenced and terraced backyard. One car garage with plenty of additional parking. Wonderful location convenient to interstates, restaurants, and shopping.